Home Smartphones MyPhone Rio Lite now official, priced at Php3,999! MyPhone Rio Lite now official, priced at Php3,999! 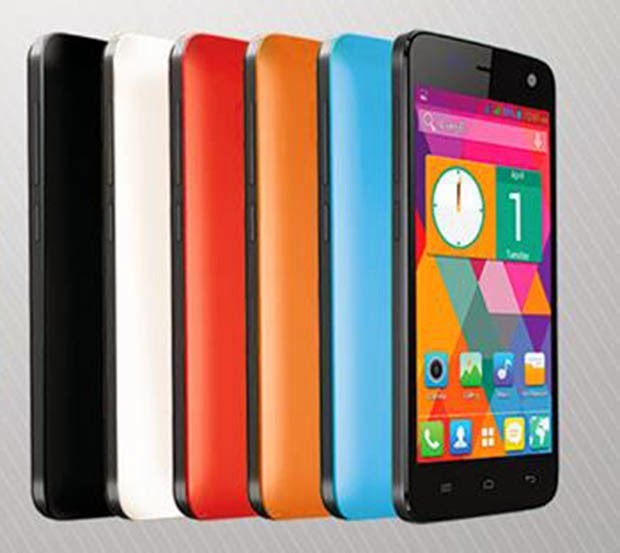 MyPhone Rio Lite: The most affordable smartphone with quad-core processor! MyPhone recently announced on their Facebook page their most affordable quad-core Android smartphone and Rio's little brother, the MyPhone Rio Lite. For only Php3,999 (SRP), the Rio Lite packs a lighter specs, but it still got the same quad-core processor at its core. 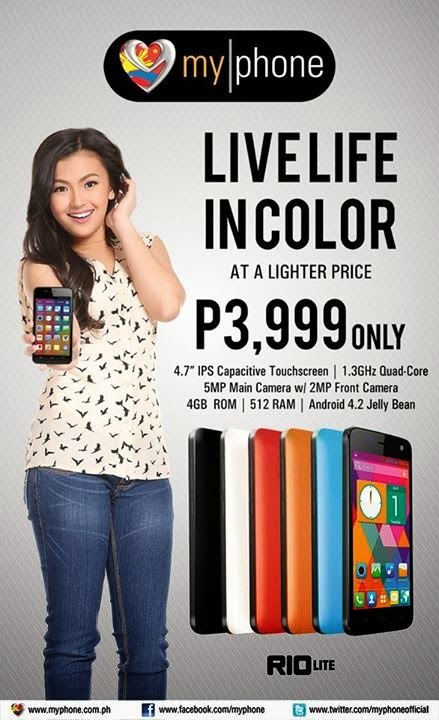 The Rio Lite is now available at selected MyPhone concept stores and kiosks. More details after the jump. According to the specs posted by MyPhone on its Facebook page, the device is equipped with a 4.7-inch IPS display with 800x480 resolution, 1.3GHz quad-core MediaTek MT6582M processor, 512MB of RAM, 4GB of internal storage (expandable up to 32GB), 2,000mAh battery and runs on Android 4.2 (Jelly Bean) OS. On the camera side, the MyPhone Rio Lite comes with an 5-megapixel main camera with smile shot function and 2-megapixel front-facing camera. MyPhone also posted that you can direct save apps directly to your memory card or SD card.